THIS IS NOT A CONTEST!!!! 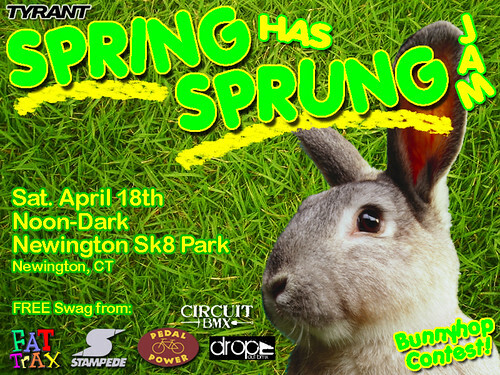 This is a BMX get-together, a chance for riders in New England to gather, meet new people, socialize, feed off one another, ride, and most importantly have fun!!! Yes, there will be a few small contests held for some serious prizes, but you do not have to compete. The remaining swag from our kick a$$ sponsors will be given away in a FREE raffle and product toss.